A new study finds that genes variations make some people more susceptible to Malaria than others. Over 2 million people in India get infected with Malaria every year, of which nearly a 1000 die. Though public health polices and increased medical care have brought the incidence rates down, India still accounts for 77% of the malaria cases in South Asia. 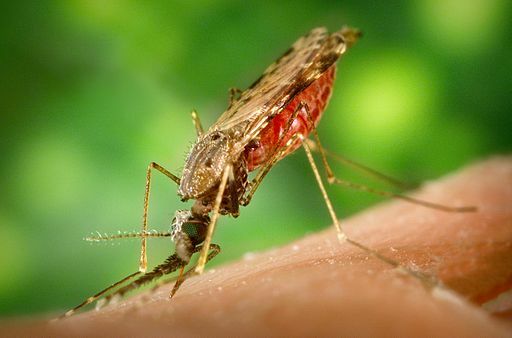 Malarial transmission by the female Anopheles mosquito is a well-known fact; what is not known however is that once the parasite is in the blood, an individual’s genetic makeup determines their susceptibility to infection. A recent article by A.N. Jha et. al, published in the journal Infection and Immunity, shows that variations in the gene MBL2 (Mannose Binding Lectin-2) can determine one’s susceptibility to malaria. The eponymous protein, MBL2, is part of the complement system, our first line of defense against any infectious organism. These proteins bind to the bacteria, virus or protozoa and activate the antibody response aiming to clear the pathogen from the body. Previous studies have identified and mapped six Single Nucleotide Polymorphisms (SNPs) within the MBL2. Three of these are within the promoter and untranslated region while the other three occur within the coding region. In any given population, the 6 SNPs occur in different combinations, which determine the serum concentration of the protein. Some SNPs decrease MBL2 concentration to nearly negligible levels while others increase it over a 1000 fold. Conceivably, less MBL2 will cause a diminished immune response and be ineffective in fighting off an infection. To understand the association of MBL2 with malaria, Kumarasamy Thangaraj’s group at the Center of Cell and Molecular Biology (CCMB) recruited 434 malarial patients from hospitals in endemic regions. These patients were divided into three groups according to WHO guidelines: 1) Asymptomatic (patients with the parasite but without detectable symptoms of the disease) 2) Mild malaria and 3) Severe malaria. Genomic DNA was isolated from the blood, and the MBL2 gene was PCR amplified and sequenced to identify the polymorphisms. The asymptomatic patients were used as controls to compare the association of gene variants to mild and severe malarial infection. The variants that exhibit low serum concentration of MBL2 were twice as common among the mild and severe groups as compared to asymptomatic group. This further intensifies when all the three SNPs within the coding region occur together. Such an individual is 4 times more likely to contract severe malaria compared to the others. So MBL2 variations do determine one’s susceptibility to malarial infection. Since India is endemic to malaria, it raises the question of whether our genotype as a population makes us susceptible to the disease. To understand this, the study was expanded to 830 individuals across India. 32 different populations from all regions of the country were sampled and MBL2 SNPs mapped. Surprisingly, a single variant is not dominant in India. Further, low or high serum MBL2 haplotypes are not restricted to any geographical region, and occur regardless of the prevalence of Malaria. In fact, different variants exist concurrently in a single region, thus displaying a hitherto unknown survival advantage to harboring the MBL2 variants even in regions endemic to Malaria. Being the first of its kind, this study presents a genetic association of susceptibility to Malaria. It could also provide a greater impetus to research currently underway towards using MBL2 in potential therapeutics. Refusing to speculate on larger implications, Thangaraj hopes that genetic susceptibility information can be in public health and outreach measures, cautioning the susceptible populations to be more diligent about protecting themselves against infection. Skattum L, van Deuren M, van der Poll T, Truedsson L., Complement deficiency states and associated infections, Mol Immunol. 2011 Aug; 48(14):1643-55. Garred P., Mannose-binding lectin genetics: from A to Z., Biochem Soc Trans. 2008 Dec; 36(Pt 6):1461-6.